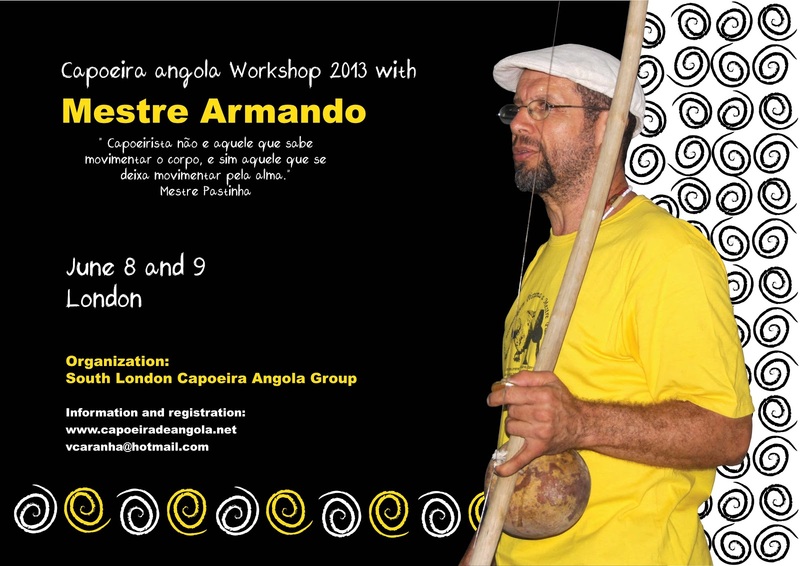 Mestre Armando is confirmed for the 8th and 9th of June. The prices for the workshop are as follows: One day £25 both days £40. We are very honored and pleased to be able to invite you this workshop with Mestre Armando sometimes known as mestre Armandinho. This is a unique opportunity as Mestre Armando has never been to the UK. 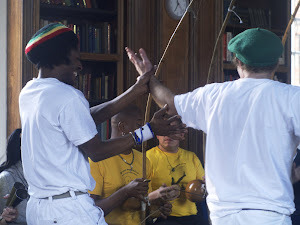 Mestre Armando is well known to all those associated with Capoeira Angola in Brazil especially those from or linked to Mestre Moraes and GCAP. Armando has said he wants to do a focused and intimate workshop. It would be great if people could confirm their attendance to plan ahead. Please get in touch with Vitoria and Paul for more details. phealey123(at)googlemail.com and Vcaranha(at)uku.co.uk.